We received in the lab a dual channel meter/probe kit. However the meter only has a single socket to power a single probe. We're trying to identify what the cable connector is so we can make a power supply for the second probe, or a splitter cable so they're both powered off of the one port. 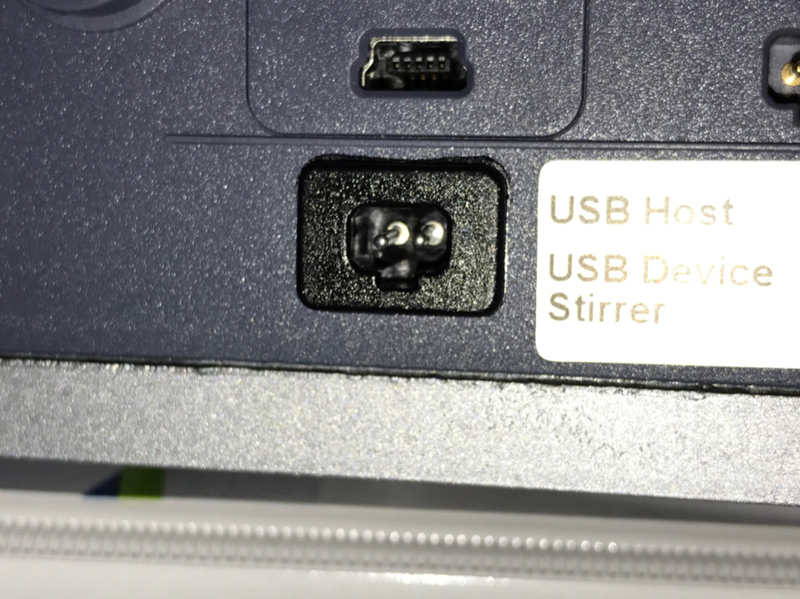 Hi, I don't know what the connector is.. but if you just want a quick fix..
You could use electronics jumpers I expect, the connector looks about right..
just splice a couple together to create the split..
We actually found it, sort of. I'd expected the company that makes the probes/meters to have assembled all the parts themselves. Turns out that the power supply is a generic thing bought from another company. 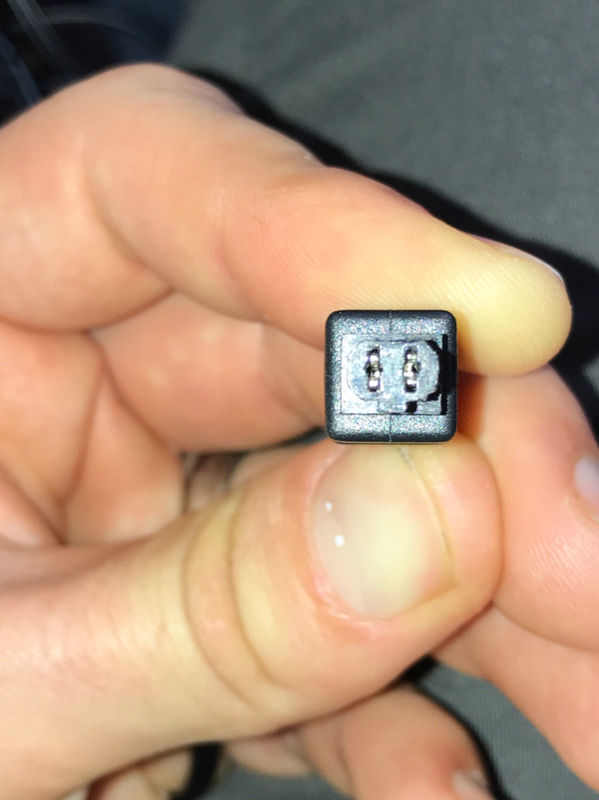 A colleague googled the serial number on the actual plug end (rather than socket) and found it straight away. That is very common, quite often you don't even need that much. Few years ago I replaced a PSU with a generic that seemed to have more than a dozen interchangeable plugs and did 8 voltages from 2.5V to 12V. As long as the wattage/amps is high enough and it supplies the correct voltage it will do. 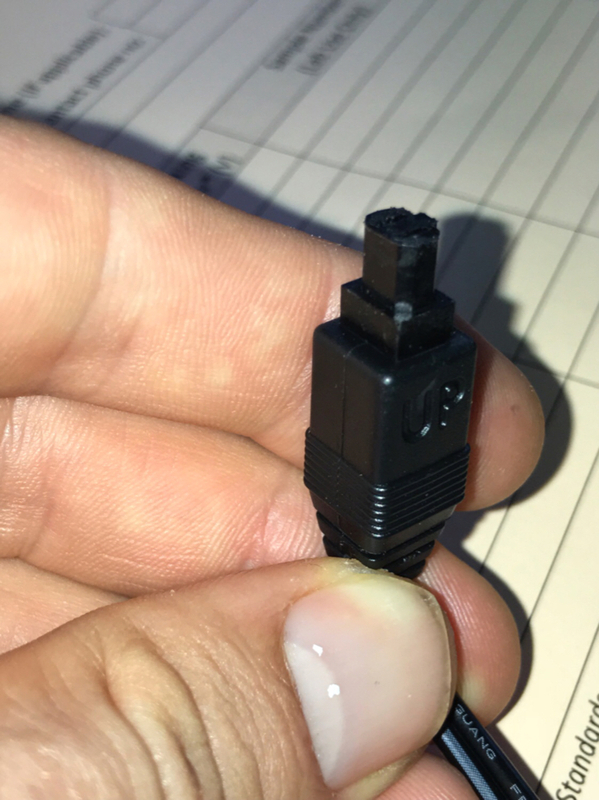 At one organisation we even cut off the plug from a PSU and carefully spliced on the custom one from the machine after the supplier went bankrupt.